Graeme McDowell made over 100ft of putts for the third day running to close with a 66 and clinch his first top 10 since October 2016 in the Shriners Hospitals for Children Open in Las Vegas. As Seamus Power closed with a one-over 72 to slip from 18th to tied 41st on one-under par, McDowell overcame blustery final round conditions at TPC Summerlin, carding five birdies in an immaculate final round to finish just three shots outside a playoff that saw Patrick Cantlay beat Germany's Alex Cejka and Korea's Whee Kim with a dramatic par at the second extra hole. 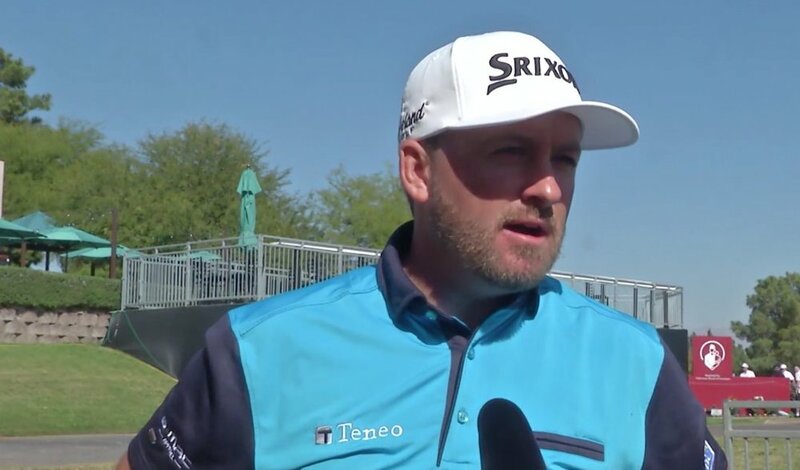 It says it all about McDowell's recent form that it was the world No 162's first top-10 finish since he tied for fourth behind Alex Noren in the British Masters more than a year ago. The 38-year old Portrush native played alongside 46-year-old Cejka, who came home in 30, finishing with four birdies in a row and five in his last six holes for an eight under 63 to get to nine-under par. Cejka and McDowell were 10 strokes behind leaders JJ Spaun and Beau Hossler starting the day. But as McDowell scrambled brilliantly and made four putts between 10 and 30 feet for his 66, Cejka followed a birdie-bogey start with eight birdies in his last 12 holes, including six on the back nine for a superb 63. The tournament was a battle between Spaun and Cantlay for most of the day. But Spaun double-bogeyed the last two holes for a 74 to finish tied for fourth and 25-year-old Cantlay bogeyed the 18th for a 67 to fall back into a tie for the lead with Cejka and 25-year old Korean Whee Kim, who closed with a 66, on nine-under-par 275. In the playoff, all three bogeyed the par-four 18th the first time around. But on their return to the 456-yard finishing hole, Whee drove into the desert and made six after a penalty drop. Cejka missed the green from the fairway and failed to get up and down for par from the right rough as Cantlay drove behind trees on the right but hit a stellar approach through the back of the green and got up and down for a winning par, almost holing out for birdie from long range. As for Power, it was another disappointing weekend for the West Waterford man, who was tied 23rd at halfway but shot one-over par for his last two rounds (71-72). According to the PGA Tour's "Stats Center", Power is ranked third for first-round scoring (69.13) for the year to date behind Paul Casey and Jordan Spieth and 19th for second round scoring (70.00). However, he's more than five shots worse than the game's best at weekends, ranking T65 for round three (70.22 compared to No 1 ranked Dustin Johnson's 68.19) and 149th for the final round (71.31 compared to No 1 ranked Spieth's 68.44).